Young Albert enlists to serve in World War I after his beloved horse [Joey] is sold to the cavalry. Albert’s hopeful journey takes him out of England and to the front lines as the war rages on. There are two main reasons why I recommend this movie. First, the cinematography is beautiful. Spielberg does not shy away from his beauty shots. He uses light brilliantly, such as shining it off of the Joey’s brown coat to show his beauty and power. I assume it can be hard to show the emotions of a horse, so the light and camera movements/angles help support their emotions. Whether it is a low angle to show power or an extreme close up of Joey’s face while running to show fear, the cinematography is crucial and beautiful. 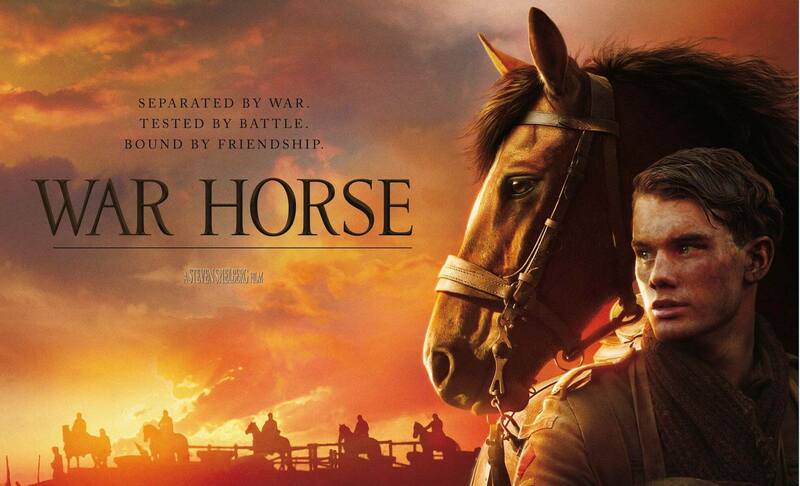 The second reason I recommend the movie is because of the horses. It is unbelievable what these horses are capable of in terms of their performances. The battle scenes are probably the most impressive because of all the coordination that must have been involved. I was surprised by the various of emotions that were pulled out of me during this movie, especially when only two horses were interacting on screen. I think that is what really sold the movie. Overall, I recommend this movie for people to watch and would give it 3.5/5 stars. If you can look beyond the predictable story and just enjoy Spielberg’s craft, then you may just enjoy the movie as much as I did.